You are here: Home > So What Did The Early Stages Of Android Look Like? So What Did The Early Stages Of Android Look Like? 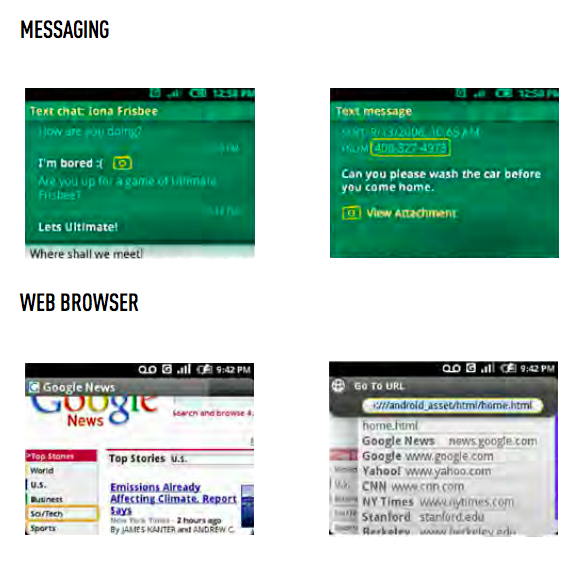 The Google v. Oracle trial is turning into a bona-fide goldmine of past Android news as fresh new images originating from the courtroom show a glimpse at what Android looked like in 2007, and what could have been. 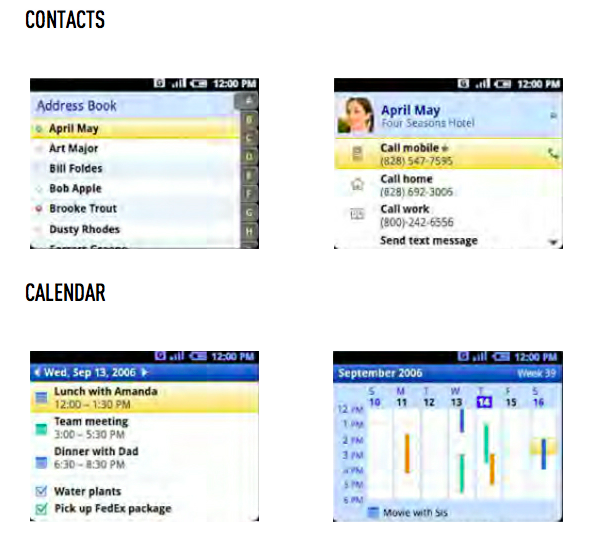 This is such a far cry from the Android we know today that these shots are almost unrecognizable as a “preliminary” version of the Android platform. 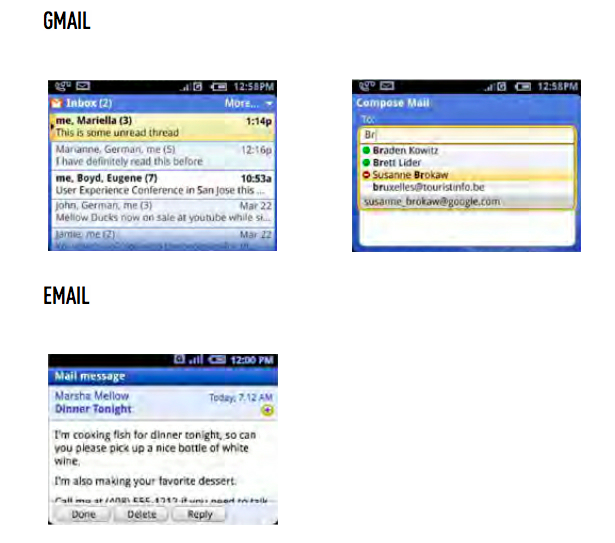 If you didn’t know any better and I just showed you these images, you’d think you were looking at a Blackberry themed device. The images were marked “subject to change” and it’s clear that Google’s engineers went back to the drawing board and cooked up the Android we know today. Unfortunately, image quality is a little rough but they are definitely good enough to see what Google originally had in mind for Android. What could have been. Hit the link for the full gallery. ← HTC One S Poll, Have You Bought One? the beauty of the black slab! thanks apple for this form factor. logical and practical. I wonder what form factor phones will take on next. yes lg thanks for bringing the black slab form factor before apple, and yes I iPhone but not be silly and be an iCantThink, do some research first. Oh btw I’m writing this on a Macbook as well so don’t even try to say I’m being an android fan blah blah blah. Its not that far from it, although I will admit I don’t have Blackberry eyes. It is his site. He gets paid by the advertisers. 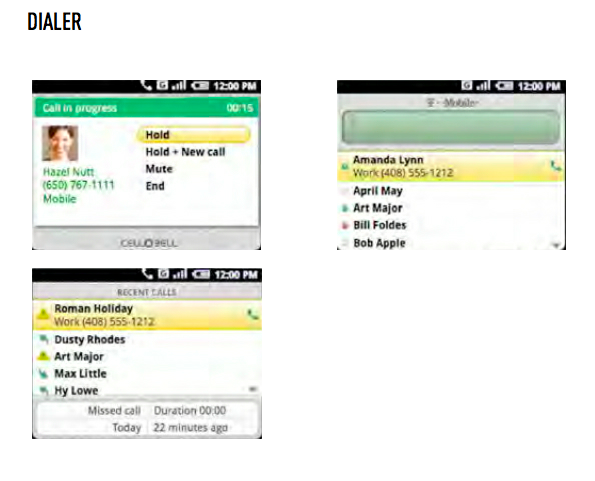 Looks more like Blackberry OS to me. 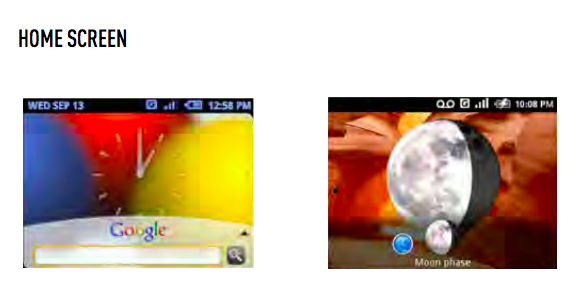 These are screenshots from a device that was not a touch screen device, they were testing touch screen devices as well. No they weren’t. Not until Apple introduced it’s iPhone did they go back to the drawing board and copy Apple did they come out with it’s first Android product.